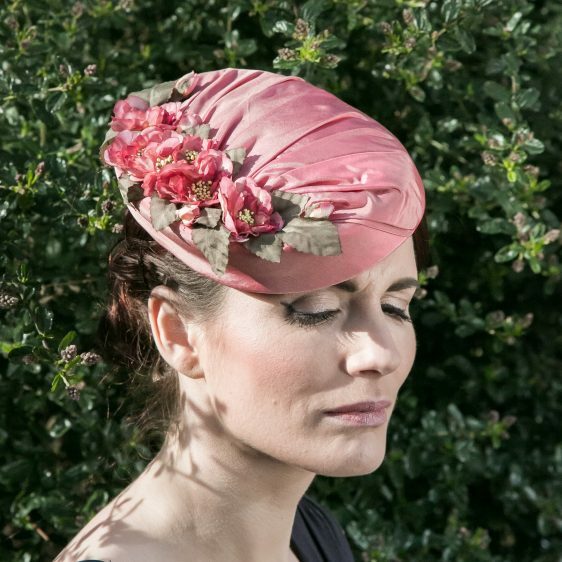 Pink silk percher hat with ruched detailing and pink blossom flowers. The blossom flowers have pale yellow stamens and the decoration features both buds and leaves in addition to the full blooms. 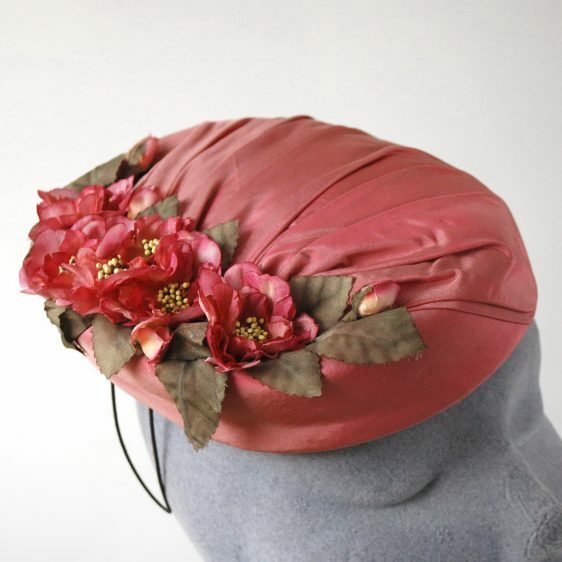 This hat is lined with the same silk as the outer and features a gathered centre. 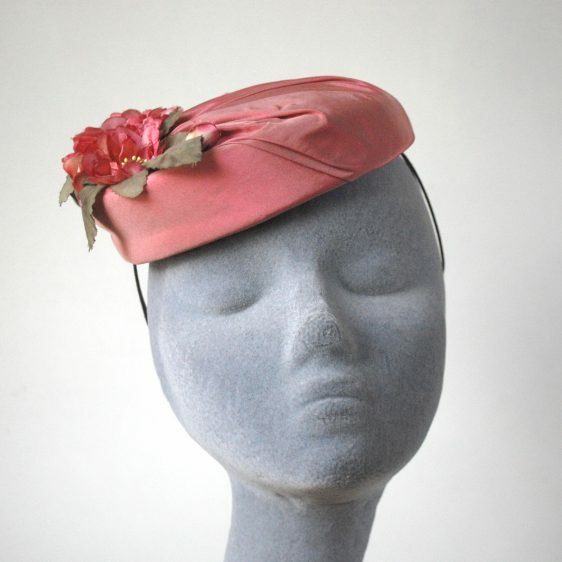 This hat has been designed to be worn to the right of the head. 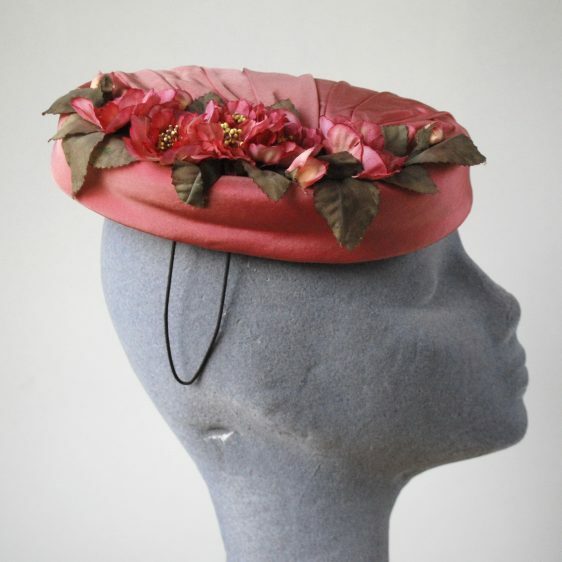 This hat has been hand-blocked using traditional millinery techniques. 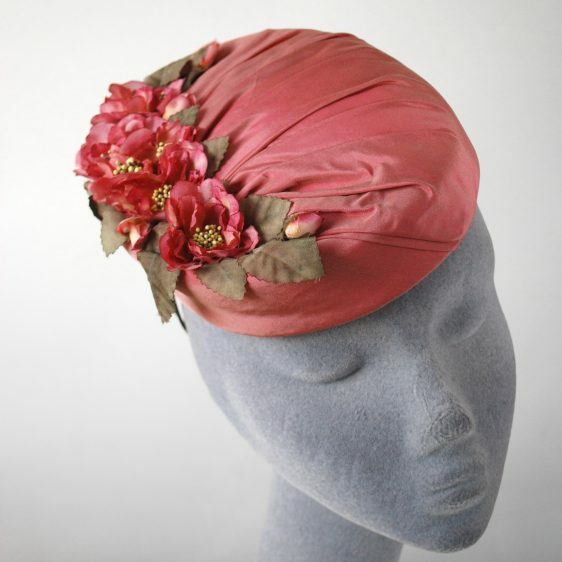 This piece is almost entirely hand sewn apart from a small amount of machine stitching in the lining.